The Asics Gel Kayano 19 is a slight reworking of the Kayano range that sees gel injected into the soles of the shoe to offer even better support on the lateral heel of the shoe and a general reworking of the upper, lateral and outsole of the shoe. This delivers a highly cushioned running experience that also feels well supported thanks to the design of the shoe, with its high walls and roomy toe box and the shoe is also an attention grabber thanks to its incredibly bright design. 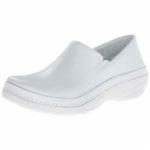 There are some key issues however that you should be aware of before you pick up your own pair. 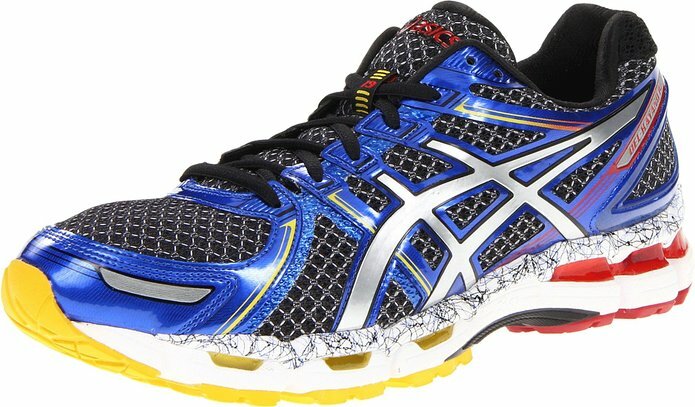 The Kayano brand has been central to Asics image for several generations now and the Asics Gel Kayano 19 ups the ante considerably on its predecessors in terms of appearance. No matter your favoured design, bold colour choices are central to the overall image of the shoe and this is especially notable on the side walls, where Asics are not afraid to place together colours you wouldn’t traditionally see as matching. 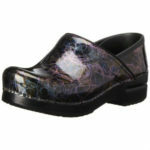 With the bold colour scheme comes a redesign of the upper sole also. The Asics Gel Kayano 19 has an increased integration of Asics’ high end production materials, leading to a more expensive shoe but one that definitely feels lighter than its predecessors. The forefoot Biomorphic Fit Panel is removed and replaced with mesh, whilst the forefoot flex point is now welded into position to reduce irritation on the foot whilst in motion. There is also the integration of a heel counter, but it is incredibly lightweight in both appearance and design and does little to stop the issue of pronation throughout the rear of the foot, especially if you weigh over 140 pounds. 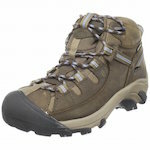 There is also an extensive layering of materials in the upper of the shoe that does mean a lot of heat is retained. Whilst in cool conditions this is not an issue, for summer training this will be problematic. Thankfully, the insole of the Asics Gel Kayano 19 is much better, with the company deciding to stick with memory foam that immediately warps to the shape of your foot. The result is thus an incredibly comfortable ride when the shoes are actually being used. 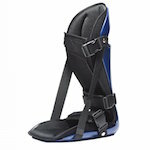 The cradle design is supportive on the foot, whilst not rubbing or being intrusive which is a plus. Some have reported the Asics Gel Kayano line as decreasing its focus upon support as the years have progressed and this current generation does little to buck the trend. There is the integration of three separate gel pods into the sole of the shoe moving in a lateral direction, with the largest of these being located in the heel of the shoe. There has also been an extensive reworking of the midsole of the shoe and the results are impressive. The mid foot shank adds some much needed torsional stability to the shoe which makes it much easier to run as a direct result. The cushioning abilities of the Asics Gel Kayano 19 are also something of note. The inside of the shoe is incredibly comfortable to wear and the soles also have considerable thickness to them, meaning that on most road surfaces you will have a comfortable run whilst also being able to feel the road beneath your feet. The lateral heel of the shoe does limit the cushioning if you are pivoting or undergoing pronation however, as it feels intrusive upon the gait. The flexible nature of the Asics Gel Kayano is thankfully much improved. There is a good amount of compensation between the strike of the shoe and the running surface, yet it is not so overly flexible that you loose control of your foot altogether. Despite the Asics Gel Kayano 19’s faults, it is still a good shoe to consider if you tend to have a forefoot strike and your running pattern is not overly dependent upon the rear of your foot. For those who tend to weight bear and strike through the rear however, there are better alternatives for you to try. 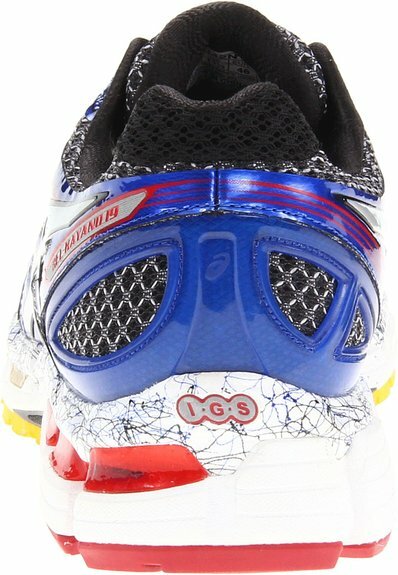 I hope that this Asics Gel Kayano 19 review has been helpful!